By now, you’ve heard or read about the Boy Scouts of America’s plan to change the name of our venerable flagship program, Boy Scouts, to “Scouts BSA” in February 2019. 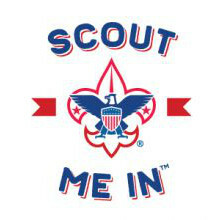 The decision is part of the BSA’s Scout Me In campaign to recruit girls as well as boys into our ranks. As you might expect, though, the name change has seen considerable pushback from the old and new guard alike. After all, our organization is still called the Boy Scouts of America. And boy has been part of Scouting since Lord Robert Baden-Powell first published Scouting for Boys. But change had to happen. With girls being allowed in for the first time, it really couldn’t remain just Boy Scouts. And “Boy and Girl Scouts” doesn’t work, especially since there is already the similarly-named Girl Scouts of the USA (which isn’t exactly happy about our changes). Regardless of how the separate-but-equal program model works out (and how troops and chartered organizations will choose to deal with it), most people admit it’s time to allow girls to have the same experiences and opportunities as we’ve been providing our boys for over a century. The name is just one thing that’ll be changing – Chief Scout Executive Mike Surbaugh says “We’re trying to find the right way to say we’re here for both young men and young women” – but what won’t be changing will be our values. The change begs the larger question: What do we call them? Where are the boys going camping next month? The boys did a great job on the troop gateway at the Camporee. We have a few boys who would like to help with a service project. We’re so used to working exclusively with boys that we sometimes just call them that as a matter of course. But with girls coming in, we’ll have to adapt. “Boys and girls” sounds more like kindergarten, and calling them “kids,” when some are sporting facial hair and driving cars, doesn’t seem appropriate either. Why not call them what they are: Scouts. For a hundred and eight years they’ve been boys in the traditional programs. As we get ready to welcome girls, let’s recognize them for what they are: Scouts. I always refer to my scouts as “Scouts” whenever possible. That’s what they are. I had the same thought and remain sympathetic, but I’m afraid it’s not as simple as that. The basic term “scout” has always been a helpful generic for all participants regardless of program. When grouping Cub Scouts, Venture Scouts, and Boy Scouts together, we have always just said “scouts”. Cub Scouts want to be thought of as “Scouts” and not just “Cubs”, and differentiating “Cubs” from “Scouts” definitely has the potential for making the younger scouts feel like second class citizens. And Venture Scouts can be referred to as Venturers, but not only is that not easy to say, it will have the tendency to push them out into a separate category. Ideally they would have had a replacement modifier less cumbersome than “BSA”. I don’t love “Youth Scouts”, but that or something like it would seem to cover the bases. But I imagine all these concerns will pass, mostly unaddressed, and we’ll call them just “scouts” or “BSA Scouts”. Thanks for your observations. While the BSA’s style guide asks that we capitalize Scout when used as a reference to a member of our movement (that’s the basis of my notation to capitalize Scout), they exclude Cub Scouts from the reference. Scout: May be synonymous with the term “Boy Scout” or may be used to include Varsity Scouts and Boy Scouts (not Cub Scouts). Use on second reference or also in informal usage when the meaning is clearly understood. Capitalize “Scout” and all words beginning with “Scout” (such as “Scouting” and “Scouter”) unless the meaning is not related to the Scouting movement. You can find the style guide here, and an article we wrote about it here. Despite that, I would still call Cub Scouts “Scouts” when addressing the group. They are all part of our movement and I think they deserve to be called Scouts, and it gets us around the boys/girls/kids conundrum. When I talk to my Cub Scouts I call them Scouts. I’ve done so since I became a Cubmaster because, like alluded to above, they are more than kids or boys. They are young men who are learning to be great future adults. They will be more. The same will apply to the girls who will join our pack and become Scouts. Just looked at my dark green (“Explorer”) uniform shirt worn as a staffer at the 1969 Jamboree. Above the left pocket there’s a strip that reads: “Scout B.S.A.” A Scout is a Scout is a Scout.